This is to support The Ministry of Industry and Foreign Trade in Egypt's recent introduction of new import regulations for shipments. 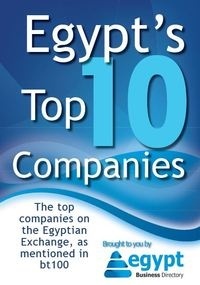 Intertek, a leading provider of quality and safety solutions serving a wide range of industries around the world, announced today that it has been registered and approved by General Organization for Import and Export Control Egypt (GOIEC) Egypt to issue Certificates of Inspections for Textiles, Garments, Carpets, Footwear and Bags being exported to the country. The Certificate of Inspection, which is required for customs clearance, can only be issued by an ISO 17020 accredited inspection body, approved and registered by GOIEC. Intertek is registered and approved by GOIEC to issue the Certificate of Inspection. Intertek is qualified, in line with the ministerial requirements, to review and analyze shipments containing these products in conjunction with the applicable Egyptian Standard, and issue a Certificate of Inspection (CoI) that will be formally recognized by Egypt Customs Authorities. Intertek has pioneered inspection programmes for Governments worldwide, and has issued more than 1.5 million test reports and certificates to global exporters to ensure that their goods comply and clear customs smoothly.